Phenology, the seasonal timing of biological events, is one of the primary ways that plants are adapted to their environment, and one of the most visible indicators of recent climate change. Warmer temperatures associated with climate change are advancing the phenology of organisms around the world. We are working with land managers to observe how climate change is impacting the reproductive phenology of Douglas-fir, as well as how climate change will influence the range and phenology of culturally important shrub species in the Pacific Northwest in the USA. Working with members of the International Tundra Experiment, I have also compiled a large database on Arctic and alpine plant phenology. 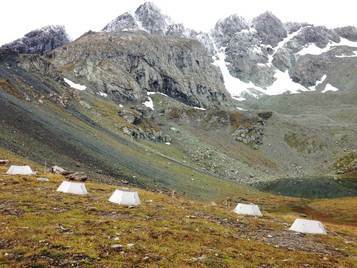 We are analyzing this phenological data from long-term monitoring plots and warming experiments to examine factors that influence how tundra plants respond to warmer temperatures. Identifying the underlying reasons for the varied phenological responses of plant species will help guide predictions of how vegetation will respond to climate change in the future. Shifts in precipitation patterns resulting from global climate change are expected to affect composition and ecosystem function of plant communities. A very relevant, and largely unaddressed, research question is: how will the presence of non-native species interact with climate change to alter ecosystem structure, function, and services? 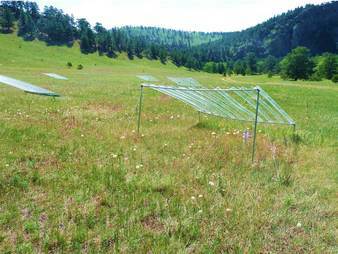 In 2010, I established a manipulative study to look at the effects of precipitation change on the species composition and ecosystem services of a grassland community. In September 2013, an unprecedented 43 cm precipitation event saturated soils and flooded nearby areas in this semi-arid grassland. We investigated how this extreme event impacted soil nutrients and abundance of native and non-native plant species. 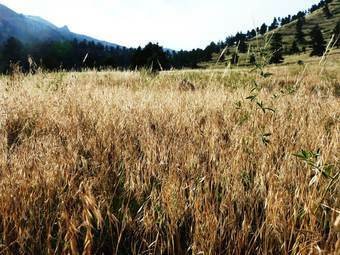 Cheatgrass (Bromus tectorum) and other non-native winter-annual plants are becoming abundant in the grasslands along the Front Range of Colorado. These species can be aggressive invaders in native grasslands, growing earlier in the spring than native plants and preempting soil resources. Effective management strategies are needed to reduce their abundance while encouraging the re-establishment of desirable native plants. We investigated whether seasonal grazing or mowing and seeding with native perennial grasses limits growth of non-native winter-annuals, and benefits growth of native plants in an invaded grassland in Colorado. We are also conducting a literature review on the effectiveness of restoration seeding in arid ecosystems to identify restoration strategies that produce desirable results.